Working together with five large cancer centers, we are collecting blood and tumor specimens from patients with pancreatic cancer to identify a blood test that can detect pancreatic cancer earlier. Like a screening colonoscopy for colon cancer, we aim to find a way to discover pancreatic cancer at an earlier stage, so that the cancer can be treated early and cured. In addition to our work in early detection, we have a large effort to understand the genome of pancreatic cancer, through the collection of hundreds of tissue samples from patients. The goals of this tissue collection are to study how pancreatic tumors grow, and why they respond to some treatments, but fail to respond to others. In real-time, we are performing molecular analysis of patients’ tumors and returning results to their physicians, creating a personalized treatment plan. When we biopsy a patient’s tumor, we are able to look at the tumors’ DNA and RNA; these molecules define the genetic code of the tumor that tells it to grow. We can use this information to better understand the genetic profile of these tumors, generate new hypotheses regarding mechanisms of treatment resistance and devise new strategies for cancer diagnosis and treatment. Finally, we are also conducting drug sensitivity screening on tumor cells implanted into a 3-D culture system, called an organoid. Cells taken from a patient’s tumor are grown in the laboratory and exposed to dozens of different drugs to find the ones that are most effective in killing that person’s tumor cells. Data that is generated from these organoids will be used to better understand why certain tumors are sensitive or resistant to particular treatments and to identify new treatment options for our patients in the clinic. Thank you Dr. Wolpin and your amazing team! 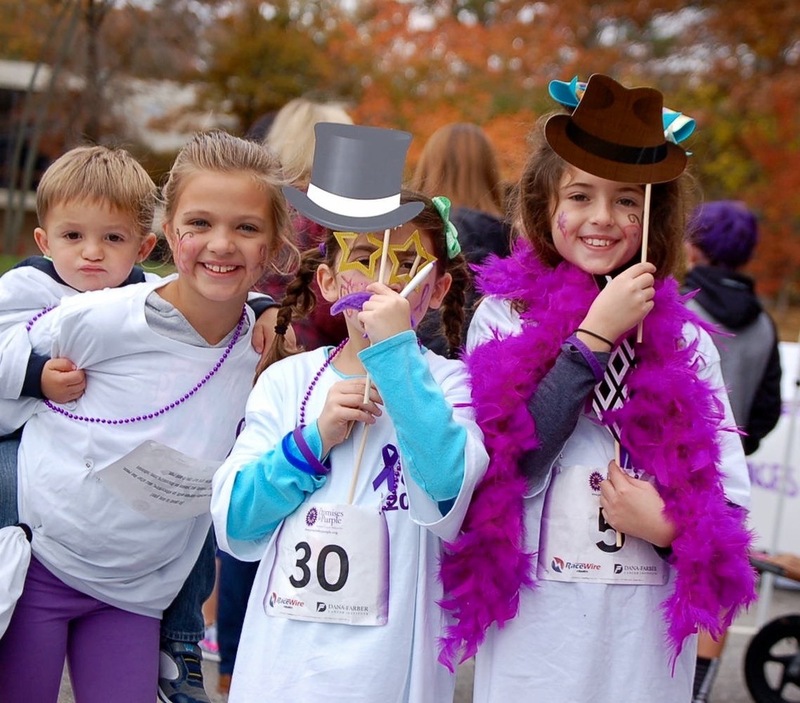 We admire your efforts, talent and determination in helping to find a cure to pancreatic cancer! A special thank you to the Norwell High School Cheerleaders for volunteering their time each year to encourage our walkers! 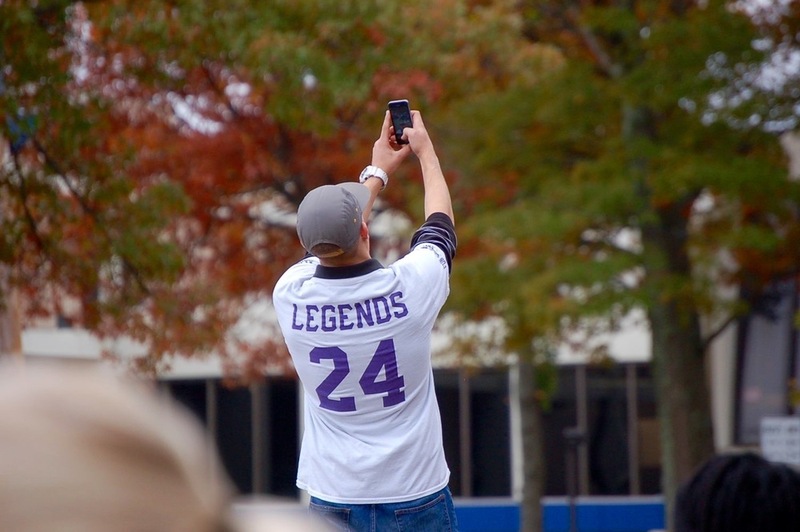 Why have you enjoyed volunteering at the Promises for Purple walk over the years? 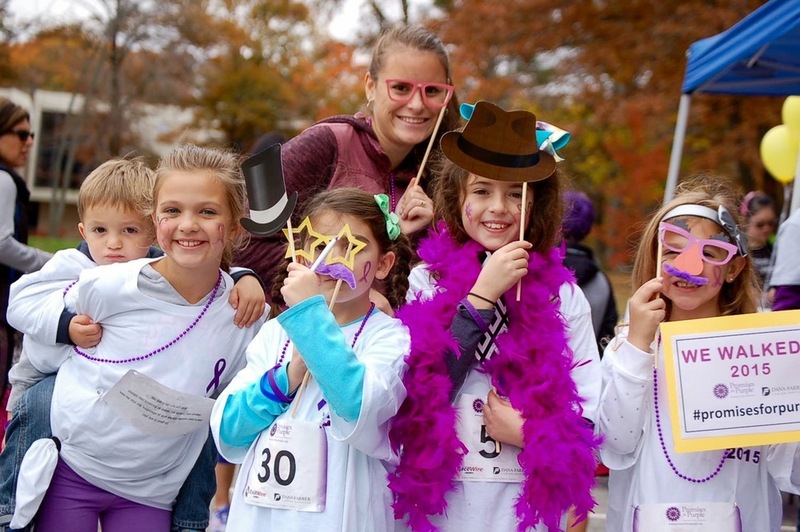 Announcing the 7th Annual Walk for PFP! Lucky number seven is here, and we are ready! 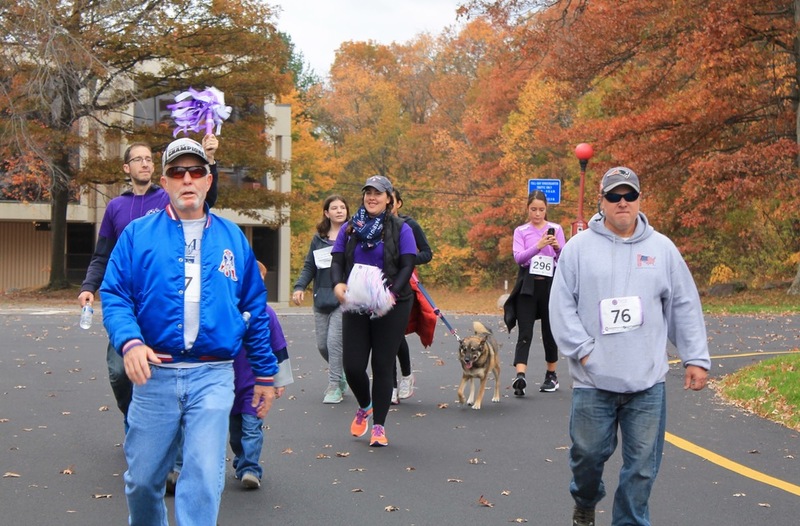 To celebrate our 7th annual walk, we’re aiming to raise an additional $7,000 to bring our total goal of $37,000 for Dr. Brian Wolpin’s pancreatic cancer research at Dana-Farber Cancer Institute. 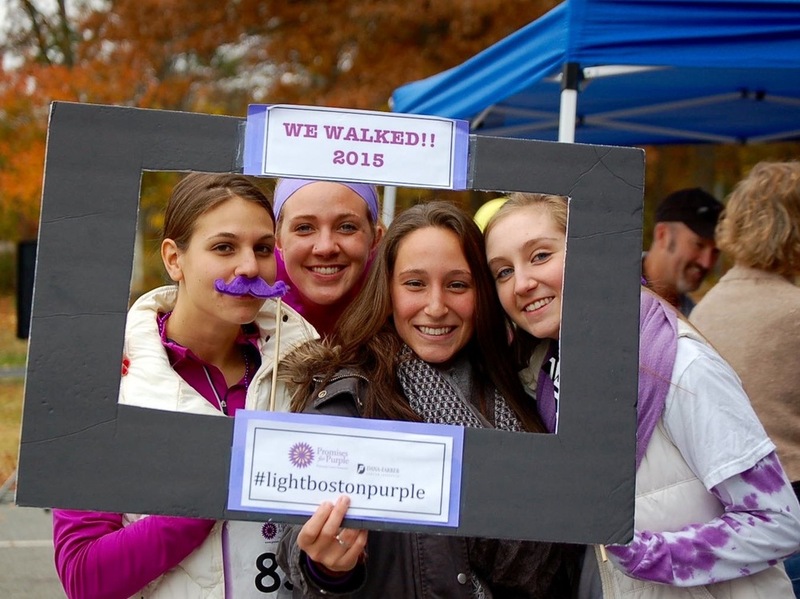 This year’s walk will take place on Sunday, November 5, at Braintree High School with check-in at noon. Although fundraising is a key component to our event, it is not the only thing that has the PFP committee members amazed each year. 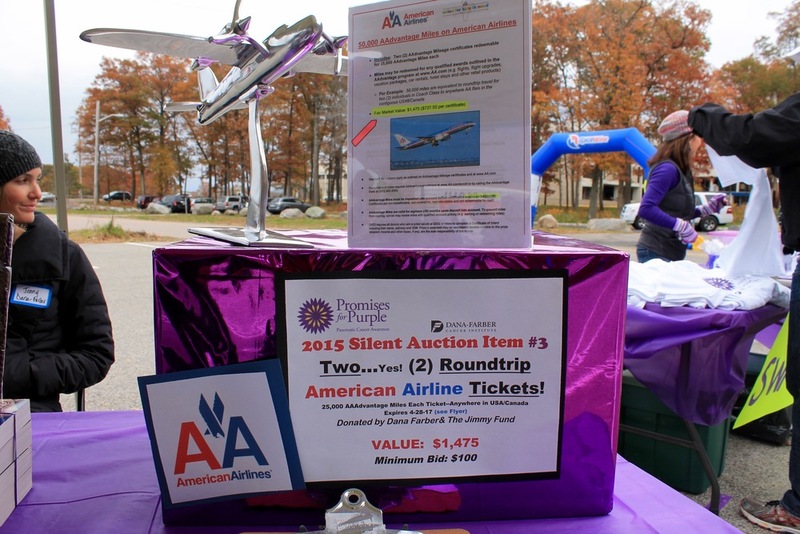 Since 2010, we have had a number of impressive donations for the Opportunity Drawing & Silent Auction tables, including a signed Tony Hawk skateboard, a 3-D printer and even two round-trip American Airline tickets! 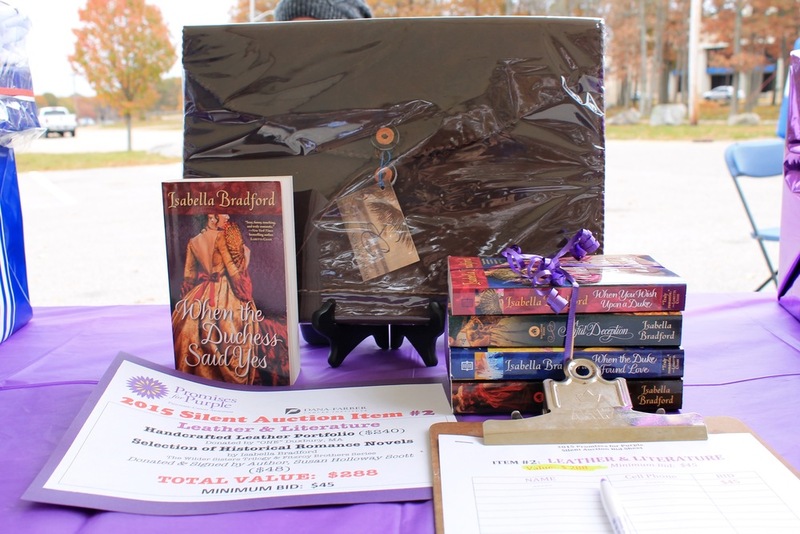 If you or anyone you know is interested in donating a special prize to this year’s walk, please email promisesforpurple@gmail.com on or before October 17th. Dr. Wolpin was recently named the next Robert T. and Judith B. Hale Chair in Pancreatic Cancer at Dana-Farber. Read the full announcement! In July of 2014, my brother was diagnosed with stage 4 non-operable pancreatic cancer. The only signs of this terrible disease that he showed was low abdominal pain. By the time the doctors discovered the tumor, it was too large to be operated on. He went through chemo therapy treatments, but to no avail, the tumor grew larger and the cancer spread to most of his other organs as well as his bones. Michael William Parkhurst lost his battle to this ugly monster on May 5, 2015 just ten short months after his diagnosis. When my brother was diagnosed, my family and I had just moved to MA. I didn't know anyone here or any way that I could be a part of the crusade to help find a way to stop this disease from taking the lives of others. That's when I found Promises for Purple. I did my very first PFP walk in 2014 and found a family. I never realized that there were so many others that had been affected by this disease in the same way that my family had. For the past three years, I have been surrounded by the power of purple. I have been surrounded by the friends and family of the people who are fighting this terrible disease and the family and friends that walk to remember a friend or a loved one that they have already lost. Promises for Purple has been my way of honoring my brother as well as helping to raise money for the Dana-Farber Cancer Institute and for the research that needs to be done so that we can hopefully one day find a cure for this terrible disease. Thank you Promises for Purple for showing me hope and for helping me continue this fight for my brother just like I promised him I would!!! Last summer, my friend Greg Gunter was diagnosed with pancreatic cancer. He had an infectious smile and a personality full of goodness and humor. Combined with his work life and his own business, Greg had friends far and wide, was loved by all and touched many lives. After his diagnosis, several people contacted me to see how they could support Greg's healing. I asked him if we could start a fund or something else to help and my proud and humble friend politely declined. 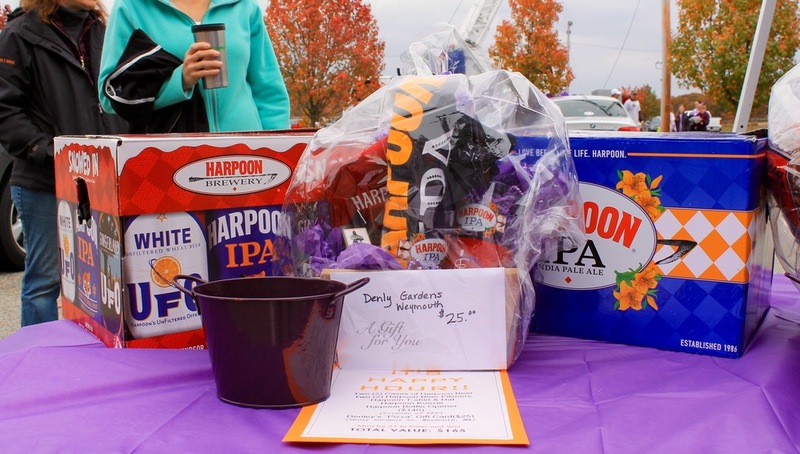 Shortly thereafter, I found out about the Promises for Purple walk which funds pancreatic cancer research at Dana Farber Cancer Institute. I asked Greg how he felt about a group of friends organizing a team for the walk and he loved that idea. Team Greg Gunter Strong was born!! The organizing and planning for our team was fairly easy due to the far reaching impact Greg had on so many lives. Through social media and word of mouth we quickly had over 75 people from Texas to Maine join Greg's team for the walk. We also sold over 100 purple t-shirts with our team name on them and donated all of the proceeds to Promises for Purple. 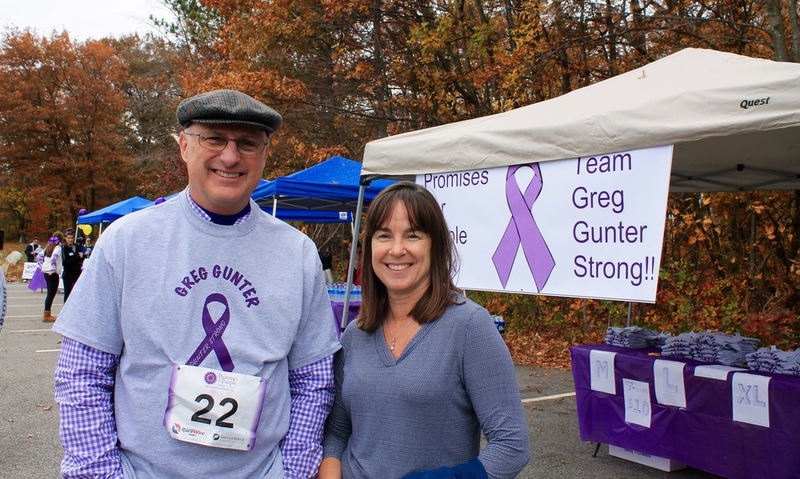 All in all, Team Greg Gunter Strong raised $8,000 for pancreatic cancer research at DFCI. Greg unfortunately lost his battle, but with the help of the organizations like PFP, the fight continues on. Joe Catalano has been involved with Promises for Purple since 2011. From interviewing some of our committee members on QATV, to emceeing the walk every year, we truly appreciate his endless support and communal contribution! I always believed that knowledge is power and that people can do amazing things if they are provided the information, inspiration, and motivation to succeed. 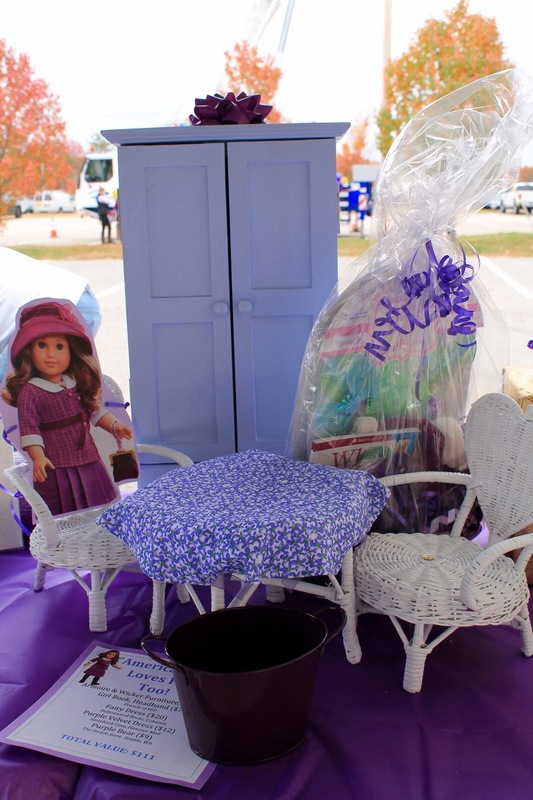 Claire Muollo provided those incentives when she started Promises for Purple at the urging of her sons, and in doing so, has created a whole new community of people striving to accomplish a treatment, and perhaps, one day, an end to pancreatic cancer. Claire took the initiative to reach out to me back in 2011 to help get her message across to the community and so touched me with her courage and commitment that I felt it right to work to continue her legacy. It is often said that volunteers get more than they give. This has certainly been my experience in participating in the Promises for Purple Walk every year and in getting to know and respect Claire, and her amazing family and friends. I encourage everyone to step out of their comfort zone, take a chance to dedicate yourself to a cause you believe in, and take the time to leave the world a little better than you found it. It can be as simple as donating to a worthy charity, becoming part of an existing team of volunteers, or starting your own team. I can tell you that the small investment of time and energy you make will reap huge rewards that will enrich your life and the lives of everyone you touch. 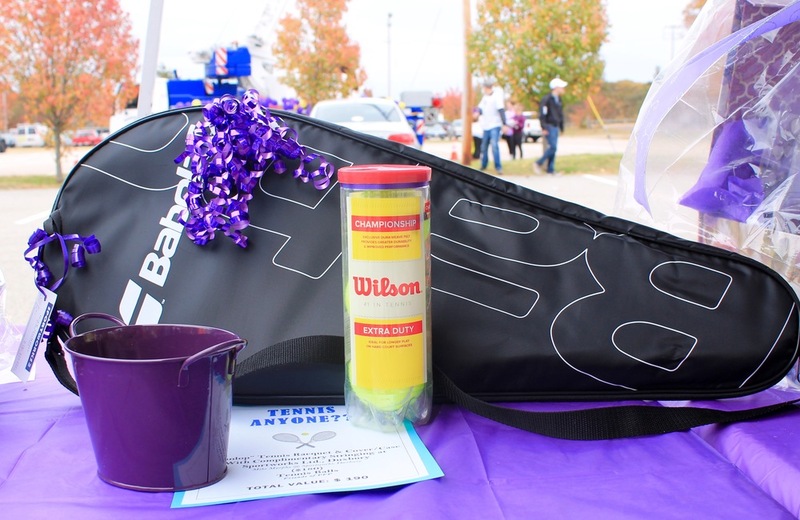 We hope to see you at this year's 6th annual walk on Sunday November 6! 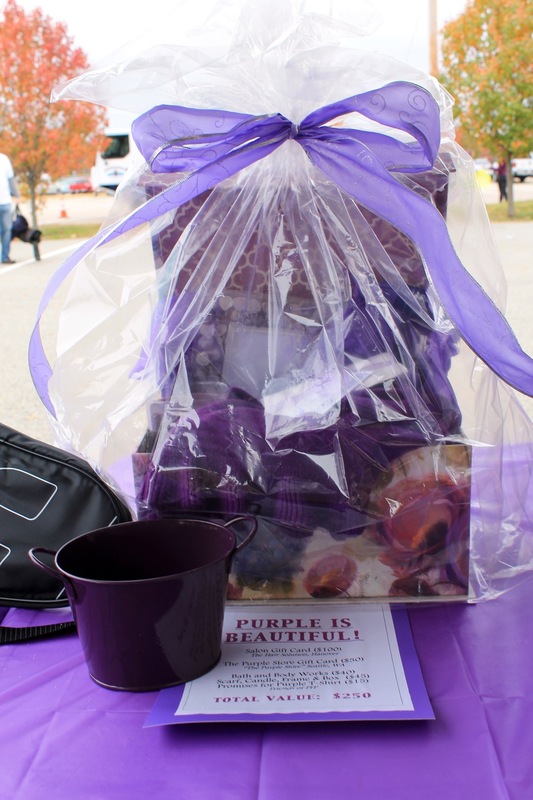 It is hard to believe that we are approaching Promises for Purple's 6th Annual Pancreatic Cancer Awareness Walk. Claire Zampine Muollo was diagnosed with pancreatic cancer in 2009. It seems like yesterday that our small committee of friends and family were sitting around Claire's kitchen table shortly after learning about her diagnosis and brainstorming ways to gather others affected by this horrible disease. The committee of ten, ranging from a special education teacher to a U.S Marine, had no true experience in the fundraising/event planning department. 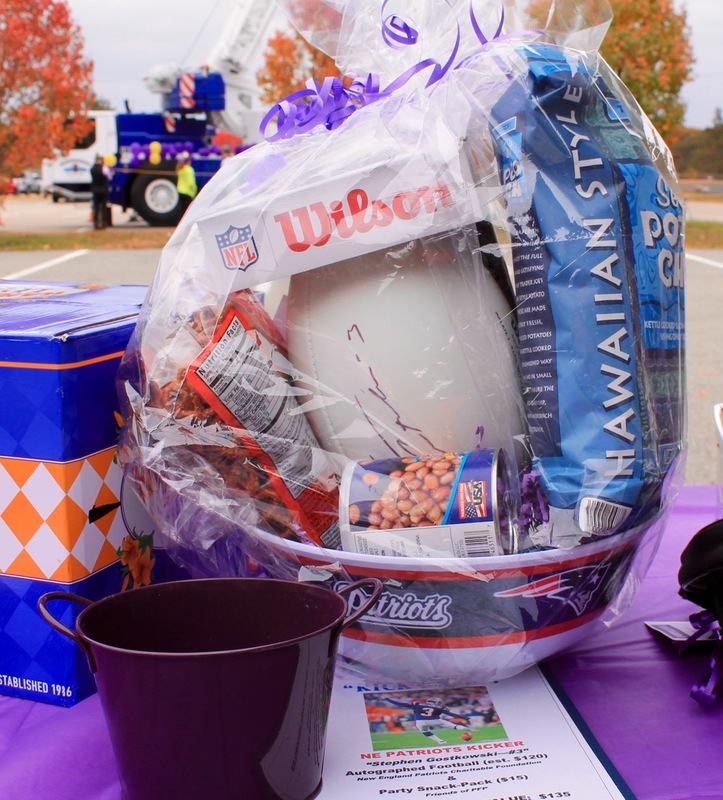 What did set our team apart, however, was the fact that we had one frustrated, yet determined cancer patient who was ready to go above and beyond in order to raise awareness and donations for the underfunded research. 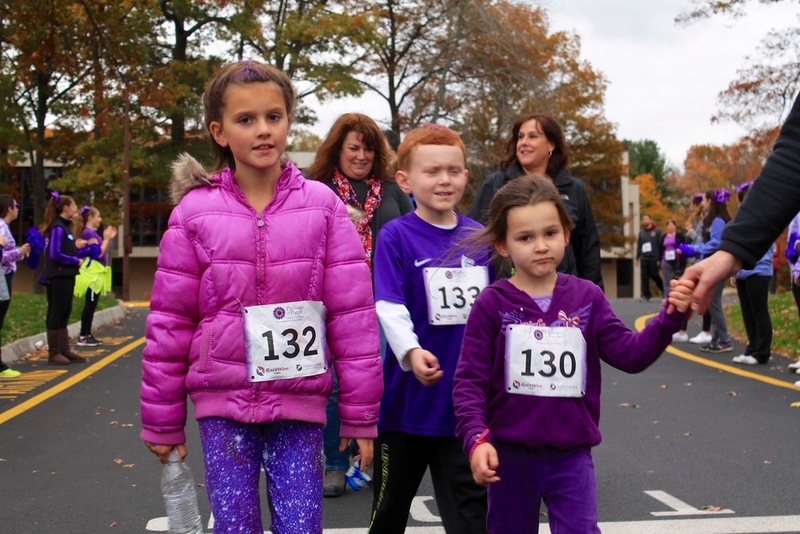 With the endless guidance from Dana Farber Cancer Institute, PFP has organized five successful walks. 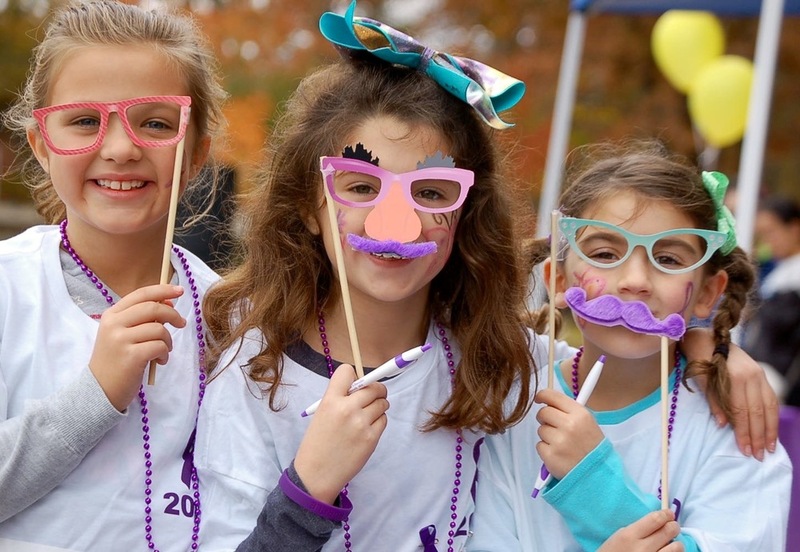 The +300 annual walkers and generous sponsors form the Greater-Boston area have helped raise over $140,000 for DFCI's Dr. Brian Wolpin's pancreatic cancer research. 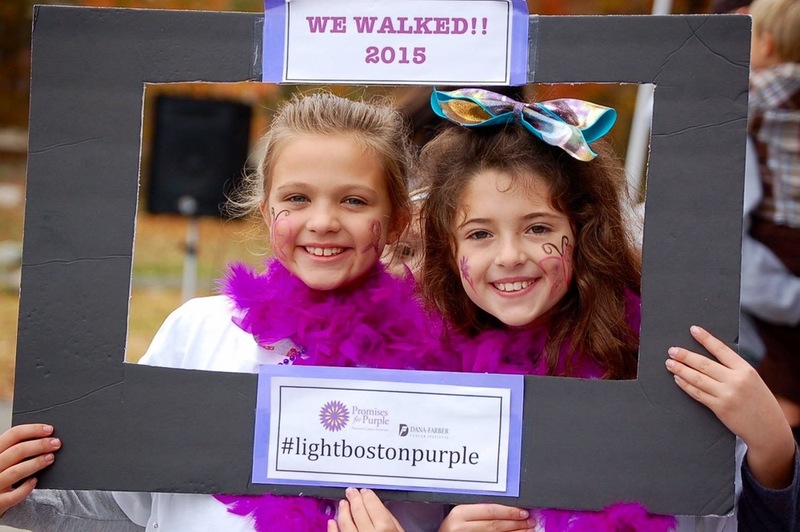 Through the power of communal support, we have lit Boston purple, walked miles around Sunset Lake and kept the purple flowing in order to help us all remember, honor and support those affected by pancreatic cancer. Unfortunately, Claire lost her battle in 2014. We remember Claire as a passionate, loving and charismatic woman. Her devotion to PFP inspires our crusade to continue to support her mission of this organization. We hope to see you on Sunday November 6 and we thank those of you who have been involved with and supported PFP throughout the years! 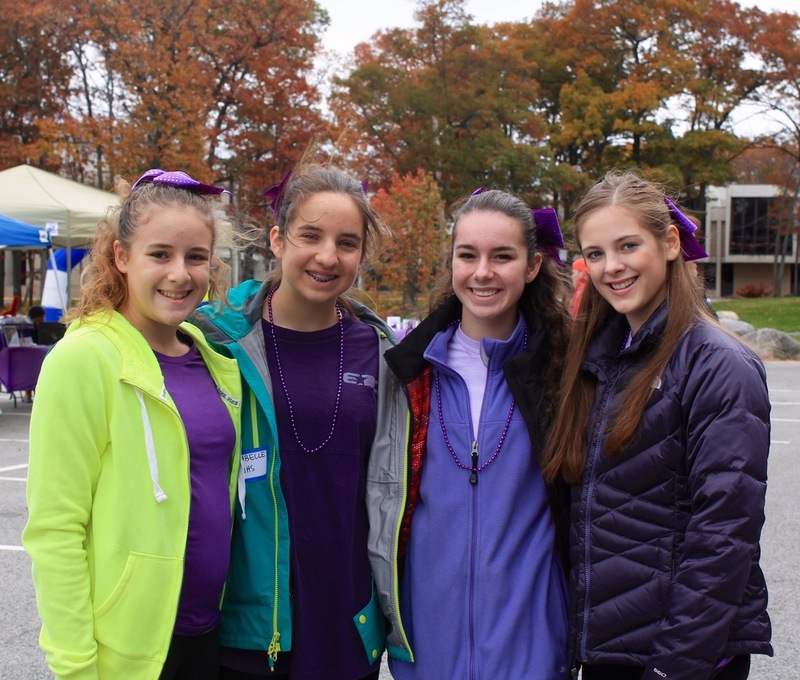 Thank you to everyone who donated, walked and helped make the 2015 Promises for Purple Walk for Pancreatic Cancer Awareness our most successful one yet!